AAA Math - Explanations and online drill of arithmetic concepts. Sorted by topic or grade level. Although this site covers Kindergarten topics, the user interface is likely to be difficult for very young children. A+ Math - Mostly support for the four basic operations - you'll find a flash card creator, online games to practice and a homework helper that tells kids if they have the right answer. Academic Skill Builders Math Games - Standards-aligned free educational multi-player and single-player math games that are engaging for basic operations, fractions, and ratios aligned to NCTM Standards. Argyle Centre Math Simulations - Alberta Canada teacher created a nice collection of math simulations to teach middle and high school math. These simulations allow you to change a variable and immediately see the effect. BBC Bitesize - Engaging activities and quizzes. Many of them can be used by students who struggle with standard math tools. Big Brainz has the game Timez Attack which provides multiplication practice through a gaming platform. Brightstorm Math - This site has video demonstrations of just about every type of math problem in algebra, geometry, algebra 2, trigonometry, precalculus and calculus. You can also enter your own problem and get a solution. For $4.99 a month, you can get an interactive online tool that will show you the steps to solving any math problem you enter. Conceptua Math - free online manipulatives to explore fractions. You need to sign up for a free account. Premium subscription provides student tracking and supplemental lesson plans. Coolmath.com - a collection of several math websites with online activities. You'll have to get used to the psychadelic color scheme, but the games and teaching resources are top notch. Cool Math 4 Kids - The neon colors and ads make this site a little more time consuming to navigate, but the games are interactive and free. Online “lessons” are really just explanations with nice colors and graphics. Many of the games have names that don't necessarily tell you what they are about, so you have to explore before unleashing your students on the site. Education.com -Math skills are important for kids to have in elementary school, middle school and beyond, appearing in many aspects of life. Help kids gain confidence in math with our educational worksheets. We cover all the important skills your kids need to know, including arithmetic, geometry, money, time and measurement. Our multiplication worksheets are an especially popular resource for use at home and in the classroom. e-Tutor Graphing Calculator : Allows graphing of equations online with some flexibility of presentation (e.g. color, zoom) and to provide practice with supports at home and school. Fun Brain's Teacher Page - This link will take you directly to the teacher page of this site of interactive games. From here, you can find a game that is best for your students. All games require Flash. Furbles Demo - Furbles are attribute shapes that you can organize into pie and bar charts. This flash demo version allows you to interactively explore data with engaging little creatures. A full-featured program can be purchased , but this free online activity is worth using as is to support teaching on simple data manipulation. Gamequarium - Elementary and Middle School Levels. Offers a variety of engaging games and videos organized by subject/content. Glencoe Math Textbook Resource - If you are using a Glencoe textbook, you can find online activities that match the unit you are teaching. GraphIt! From Interactivate - Students enter either a function or data values and the graph of the information is formed using Java technology. Allows students to explore what various functions look like in graph form. Beneficial for students who struggle with fine motor skills to draw graphs by hand. Guess the Random Angle - Students guess the angle. You can have the protractor show or not show. Harcourt Math - This site has online activities that correlate with your Harcourt Math Book. You need the name of the author to log in on this free site. There is a search button at the top of the screen. Hippocampus - The goal of HippoCampus is to provide high-quality, multimedia content on general education subjects to high school and college students free of charge. Content is correlated to many popular textbooks, so you can find extension material that coordinates with a chapter you are teaching. Holt Textbook Resources - You can set up an account for your school that gives you access to chapter by chapter resources in the Holt text books. You’ll need the ISBN number of your text book. HomeschoolMath.net – A comprehensive math resource site offers free worksheets, math ebooks for elementary grades, extensive link list of games, interactive tutorials & quizzes, curriculum guide, and math teaching help articles/lessons. Illuminations - Online interactive and exploratory math activities searchable by grade level and key word. Incompetech.com has a free online graph paper maker. You put in the dimensions and it generates a PDF you can print. Useful for kids who need larger squares. Many types and styles are available. InfoPlease Math Flashcards - Practice math facts online. Interactivate - Free online activities and resources for teachers and students to support exploration in science and mathematics. It is comprised of activities, tools (e.g. interactive manipulatives), lessons, and discussions. Interactive Math - interactive lessons and activities on subjects from algebra to calculus. IXL Math a subscription based math program that provides practice. Sharing site for PowerPoint presentations of math concepts. 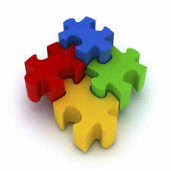 Johnnie's Math Page - Provides a collection of links to other web-sites that provide flexible methods for engagement, flexible presentation, digital alternatives for standard math manipulatives, and reinforcement of skills. Joy Wolfe's Classroom - Joy has math links that are aligned with each unit of Math A and Math B. Scroll down and look at the navigation bar on the left to find online activities for your particular unit. K-5 Learning - An online after-school study program for kids in kindergarten to grade 5 that builds reading, math and study skills. You can also download free worksheets. Khan Academy provides videos of math concepts created by Sal Khan. If a classroom signs up, student progress can be tracked through online quizzes. Math Dude offers engaging videos to explain concepts relevant to algebra/pre algebra. You can download the videos or watch them online. Math Forum - This site is a community based digital library with resources for a variety of math programs such as Sketchpad, TI calculators, and Excel. Math Glossary - This free online glossary defines mathematical terms and concepts through text, images, and examples relating to real world applications. Math Forum Problem of the Week - Provides a math problem each week that stimulates higher-order thinking skills. You can search the database of math problems so that you can use one relevant to your curriculum. Subscription Required. Contact your math resource person for a log in name. Math.com - This website has support for homework and practice on a wide range of math subjects. The practice section is organized like a curriculum, complete with practice excercises that can be completed online and unit quizzes. There are also games and resources like online calculators. The resources are good, but the presentation is less exciting that the two sites listed above. Math Lab - an all-inclusive website for teaching all areas of math. Online lessons, games, practice excercises and built-in incentives are included. This site is engaging and FUN. Math Playground - offers drill and practice, flashcards and online manipulatives . The best feature is Thinking Blocks , which allows students to model word problems visually with step by step hints and video help. Math Matrix by CITEd - A guide for how to locate math software that addresses specific teaching and assistive technology needs. Math Skills Practice Activities Grades 3-5 - Links to interactive online activities listed by category. Math Stories Modeled problem solving of math word problems (not many alternative representations but some visual strategies). Math Weblinks from Oakland Terrace ES - organized by MCPS mathematics grade and unit. Maths Dictionary for Kids - Interactive, animated math dictionary for kids with over 600 common math terms explained in simple language. Mr. Nussbaum - Highly engaging game site with strong content connections. MCPS teachers really like this site. Engaging math stories and poems that are appropriate for students in grade 3-8. National Library of Virtual Manipulatives - This site has math manipulatives online, is quick and easy to use, has activities that promote problem solving skills and is free. You can also buy a CD of the activities, with extra advantages of being able to print and save your work. NumberNut - Background information on math topics with some related online activities to go with them. The online activities are mostly interactive drill and practice. Think of this as math e-text with some interactive components. Platonic Realms - An engaging site full of support materials for high school math including downloadable resources (small download fee), math encyclopedia, and articles. Collections of PowerPoint presentations to with flexible presentation of math concepts and interactive activities for students across the PK-12 curriculum. Great visual presentation of Math concepts and graphics collection. Primary Resources - Collections for PPTs, Excel spreadsheets and other resources to support ES math instruction. K-5. Resources for sharing and using Promethean flipcharts and tools to support the curriculum, especially math. Shodor's Interactivate - Online math activities and lesson resources for teachers. Texas Instruments Math supports the use of scientific calculator, including an activity exchange and professional development training resources (including links to a full collection of video trainings through Atomic Learning). Thinkfinity Verizon Foundation proudly partners with some of the country’s top educational organizations to provide you with the latest topics, tools and trends in education. Content Partner resources are aligned to state standards and the common core. www.webmath.com Webmath is a math-help web site that generates answers to specific math questions and problems, as entered by a user, at any particular moment. The math answers are generated and displayed real-time, at the moment a web user types in their math problem and clicks "solve." In addition to the answers, Webmath also explains how to arrive at the answer. What’s My Angle? – Ten interactive activities that teach the use of a protractor. Great for kids with fine motor difficulties who could benefit from an electronic protractor and the ability to type instead of draw. Sharing site for PowerPoint presentations of math concepts (also includes other curriculum topics) and user ratings.